DIMTS launched the Delhi Transit Bus Info app a few months back. How useful it has been? One of the commonly stated drawbacks of public transport, especially the buses, is that one never knows when the bus will arrive or what will be the total time that will be taken on a bus journey. The Delhi Transit Bus Info application was launched to provide the bus commuters with a solution to these issues. The application gives the real time information of buses running on the road and the estimated time of arrival of a bus at a bus stop.The application received very good response.We got positive and constructive feedbacks from the public who really appreciated this initiative by DIMTS to improve the entire experience of commuting via public transport. Till date, there have been more than 5000 downloads. 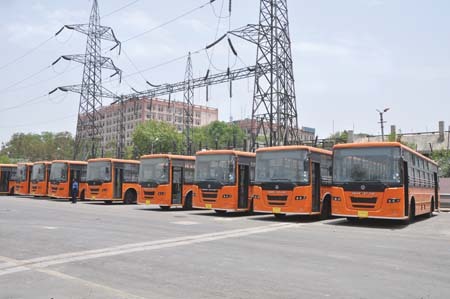 Ahmedabad Municipal Corporation has recently appointed DIMTS for implementing intelligent signaling system along the BRTS corridor. What is the scope of this project? What are the other projects in Ahmedabad? DIMTS has undertaken the restoration and up-gradation work of the traffic signals for the Ahmedabad Municipal Corporation. This will be followed by maintenance work of the signals. The project involves various activities such as installation, replacement, repair and restoration of faulty and damaged controllers, controller cards, LED aspects among other things. The Area Traffic Control System (ATCS) software as well as the Operation Control Centre too will be upgraded. With these developments, signal plans can be uploaded remotely from the Control Room, the signal timings can be changed as per the traffic volume, thus allowing for smooth and orderly flow of traffic and less congestions, reduced travel times and safety for road users. DIMTS has already done a similar work for the BRT in Delhi. The Intelligent Signalling System on the BRT corridor in Delhi has been designed to prioritize mass transit in order to increase and optimize the people-carrying capacity of roads. Each junction on the BRTS corridor has cameras installed on the signal poles which allow live monitoringof all movement in the corridor. Many cities in India are increasingly adopting Intelligent Transport Systems (ITSs) for better transport and traffic management. 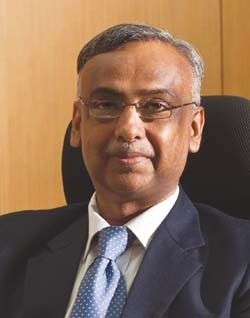 With a whole gamut of products and solution that help in queue detection, automatic number plate recognition, signal cycle standards, signal light standards, vehicle detection standards for traffic density,optimization of signal timings based on radar-captured vehicle-volume data and more, ITS provides a wide range of benefits such as saving of time and money as well as environmental and economic efficiency. How effective has the GPS for auto rickshaws in the City been? This project is still in its initial stages. Out of the total 100,000 autos in the city, GPS has been fitted in 21,000 autos. However, even this has been helpful in many ways. A stolen auto was once traced and retrieved thanks to the GPS installed in that auto, which allowed the tracking of the auto and revealed its location. In another incident the police used this system to investigate the potential suspects in a case of a crime against a woman. The police were able to find out the list of autos which were plying in a given area during a given period of time. The investigations would have been even more meaningful if all the autos were fitted with GPS. Moving a step ahead, DIMTS has built a security application that uses the GPS in autos to allow people to be tracked by their family and friends even if they don?t have a GPS in their phones. People can download the application in their android phones and then enter the registration number of the auto in which they are travelling. On doing so the auto can be tracked by their friends and further ensure their safety. DIMTS has initiated a feasibility study for BRTS in Addis Ababa? Passenger transport in Addis Ababa is underdeveloped, relying heavily on large numbers of small vehicles and lacks an efficient network. There is a lack of high-capacity transportation services and many passengers have to make multiple transfers to complete their journey. The public transport network and supply needs to be significantly strengthened to address these weaknesses. Initial assessment identified a network of seven BRT routes that, together with two planned LRT lines, will offer a comprehensive and integrated approach to public transport in the city. Our team is carrying out traffic demand and forecast study, providing service development and operational planning as well as carrying out the feasibility study for the BRT Corridor to be developed by the Addis Ababa City Road Authority. Can you give details of DIMTS implementing AVLS for Delhi Jal Board, ITS In Naya Raipur and any other new initiatives? The tracking solution for DJB monitors the water tankers and computes the payments to the vendors through the system defined rules. The solution enables measurement of the quantity of water filled and dispensed on real time basis. Water level sensor integrated with GPS, indicates real time location of the tanker and the quantity of water carried in it. About the project in Naya Raipur, the Bus Rapid Transit (BRT) System in the city is aimed at providing access to high speed intercity travel between the Raipur and Naya Raipur. Naya Raipur, being a new city is designed to decongest the existing city, which is congested due to unplanned road network infested with heterogeneous traffic conditions. The project intervention is thus aimed at introducing exclusive bus lanes on all major arterial roads. The BRT System will cover the central spine of the Naya Raipur city. DIMTS is carrying out a project evaluation exercise to evaluate whether the Naya Raipur Development Authority (NRDA) has achieved its goal after implementation of the BRTS Project. The project evaluation exercise is carried out by comparing the existing (baseline) situation with that of the situation during, immediately following implementation and after implementation of the project. The project monitoring and evaluation will be based on the collection and analysis of identified performance indicators which reflect the project outcomes and documents the outcomes. NRDA plans to deploy Intelligent Transport System (ITS) as part of its Bus Rapid Transit (BRT) project with the objectives of providing quality service and achieving operational and managerial efficiency in the bus transport system. The design of Intelligent Transport System (ITS) which will be based on open standards will be capable of up-gradation. DIMTS is providing Project Management Consultancy (PMC) for this project. DIMTS has also prepared detailed Comprehensive Mobility Plan (CMP) for various cities (Rohtak, Thootukudi) to guide the future urban development of the city and to undertake identified transport infrastructure projects to ease the existing congestion level. The CMP study apart from formulating a transport improvement road map for the future of the city also includes an identified transport investment program containing short, medium and long term projects. What is the role played by DIMTS in the overall plan for the transit oriented development for Delhi that has currently been finalized? Where all can ITS be effectively used? Transit Oriented Development (TOD) is high density, mixed use, highly accessible areas developed around transit stations. Delhi is pursuing TOD along major metro corridors to promote smart growth concept. In this regard, two pilot projects ? Peeragarhi to TikriKalan and Chattarpur to Arjangarh have been taken up for initial design. DIMTS is providing expert inputs in the designing of transport infrastructures in these TOD areas. As a part of this study, DIMTS is helping in developing mathematical models to identify the impact of the density and level of mixed use on various travel parameters. This input will assist authorities to design optimum level of densities and land use mixes in TOD zones for reduced traffic impact. In addition, DIMTS is also assisting in design of multi-modal, highly accessible transport networks in TOD zones which in turn will encourage the use of public transport, walk and non-motorized vehicles.